I'm not sure what's gotten into me, but I'm all about sequins and glitter right now. I usually don't gravitate toward a lot of sparkle but I guess times are changing. Here are a few things that have caught my eye recently, and just in time for the holidays! 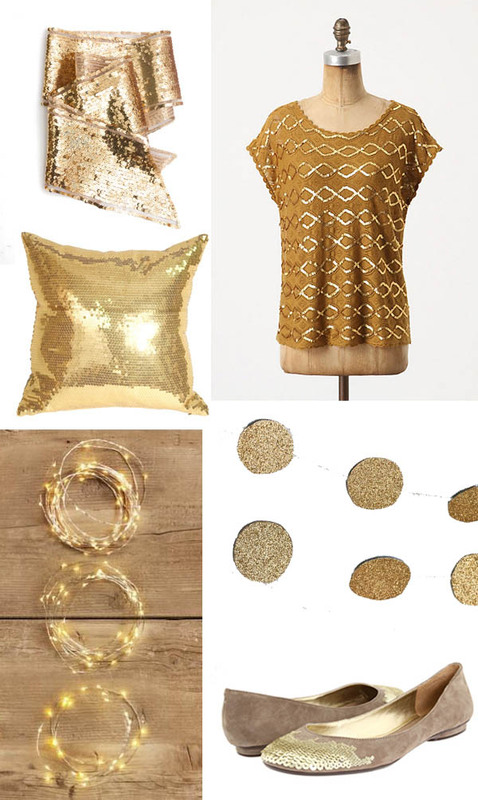 So I was just browsing Anthropologie and I remember seeing this gold shirt on your blog. Well I thought I would inform you that they are having 50% off their sale items and that shirt is on that list! If you haven't already, I suggest you snag one of these before they sell out.